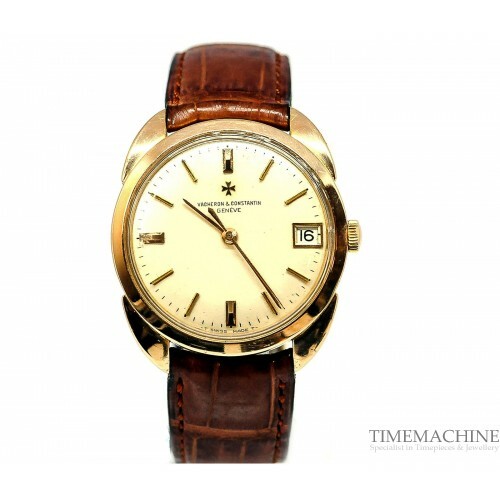 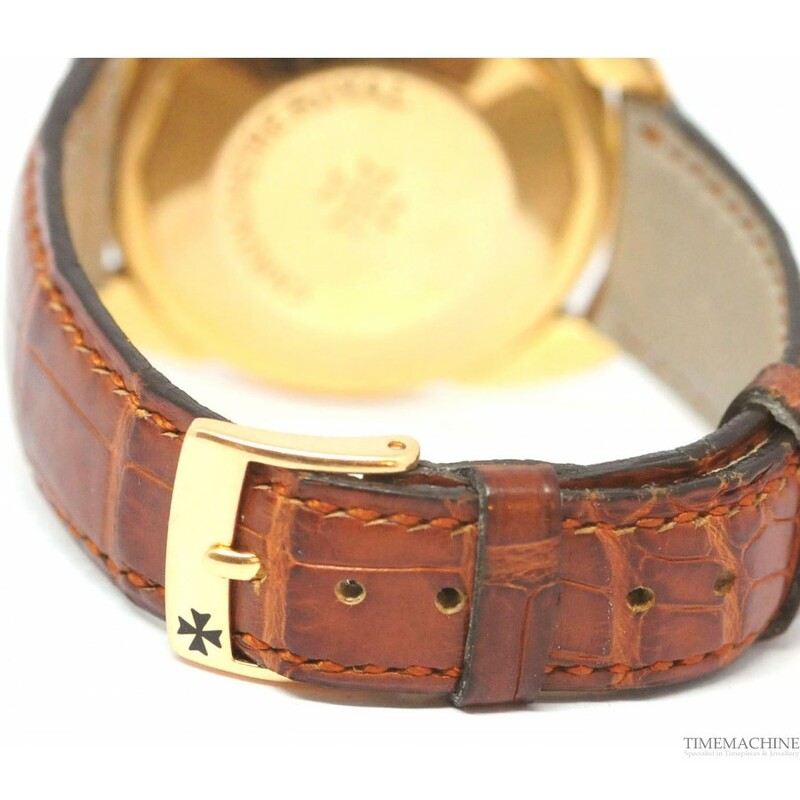 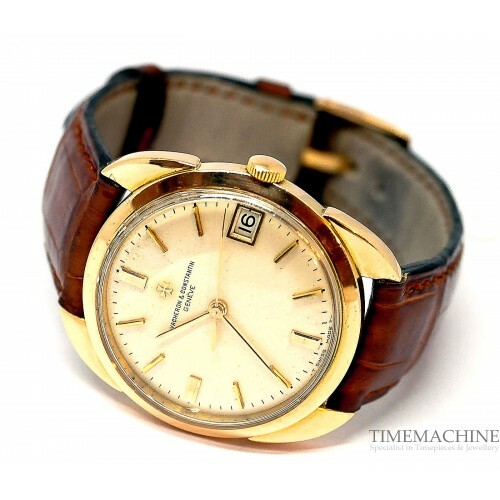 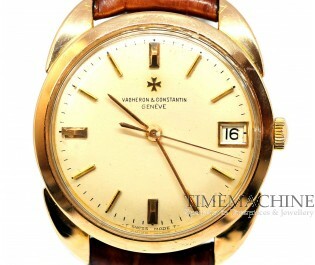 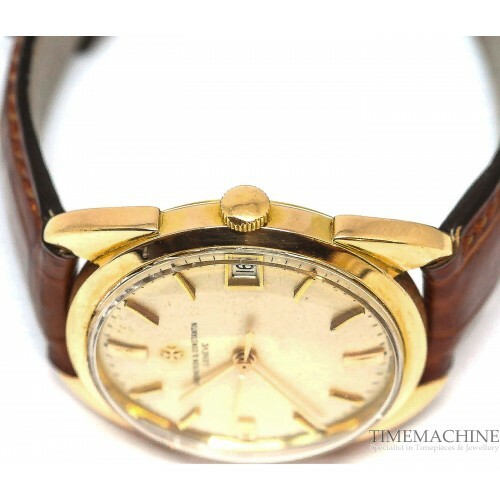 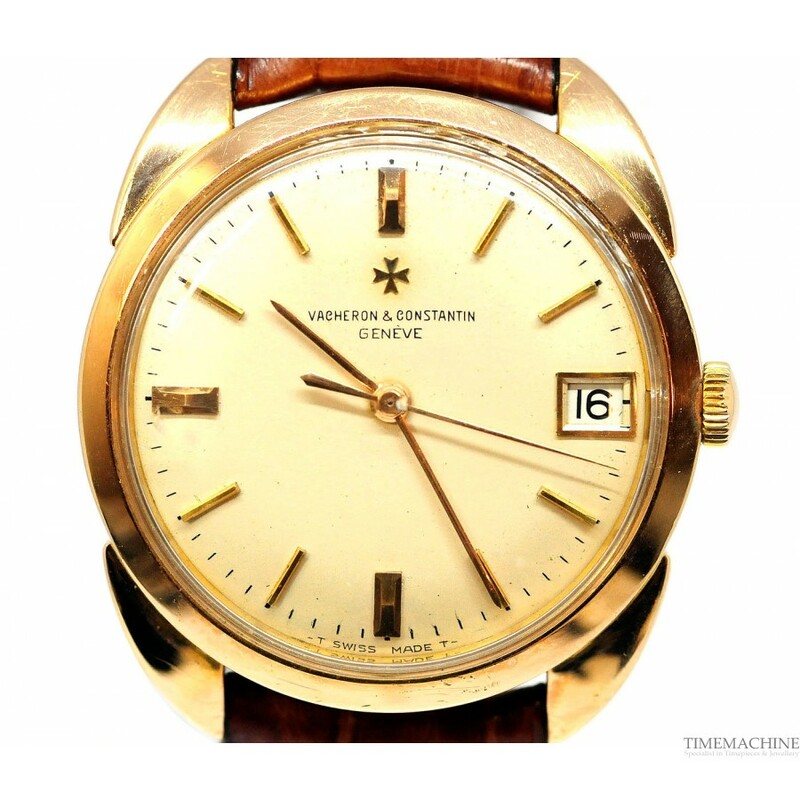 Pre-owned, Vacheron Constantin Vintage Chronometre Royal, rose gold case with white dial and gold hour indexes, date indication at 3 o clock, rose gold case back, brown leather strap with rose gold pin buckle. 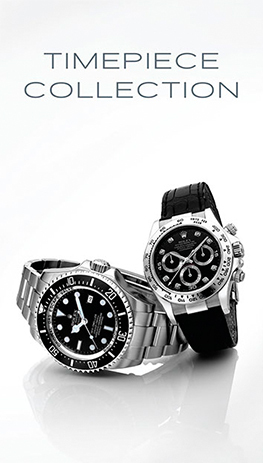 Full Set of TM Certificate and TM box along with a 12-months mechanical guarantee. 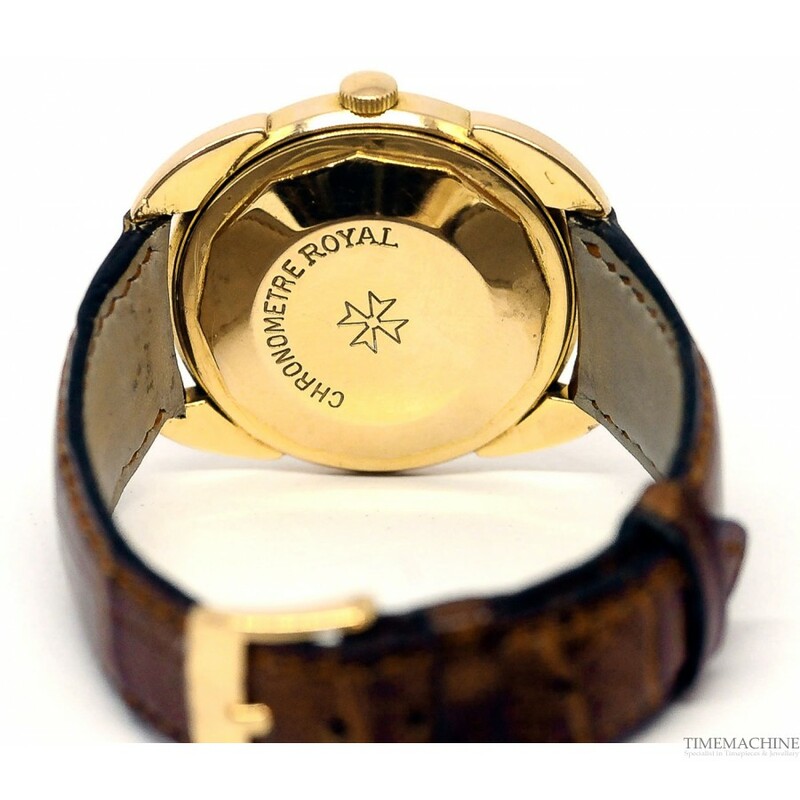 Please Quote 3368 in all communications with us regarding this Timepiece. Conceived in the ebullient 1950s, when elegance returned to the forefront, this ultra thin conventional round watch embodied Vacheron Constantin’s classical styling, while offering outstanding reliability. The absence of extraneous decoration and the controlled design are all that is required, the slimness of the movement and its case, the dial without seconds or minutes scale and the pearl hour markers serves to accentuate the clean lines and the austere beauty of a timeless design.